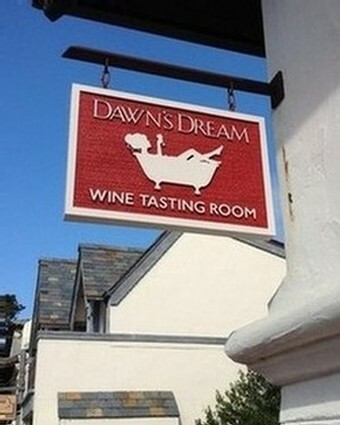 Please join us at the new Dawn's Dream Tasting Room in beautiful Carmel-by-the-Sea where we are surrounded by breathtaking scenery, fine wines, and delicious food. Whether you are out with a group of friends or your main squeeze, Dawn's Dream is the perfect getaway spot for exuberant or intimate gatherings where everyone--even your dog--is welcome. Gourmet cheese plates are available for purchase to pair with your wine flights. In addition, all wines sampled are available for purchase at the tasting room. Enjoy a relaxing studio stay in the heart of Carmel-by-the-Sea. This is a perfect home away from home for one or two people. Amenities include a kitchenette, full bath with shower, cable TV, a queen size Murphy bed, and complimentary wireless internet. Dine in or walk to dozens of local restaurants. Only a short walk to the beach and in the heart of Carmel with all its boutiques, restaurants and galleries, the location does not get any more central than this. 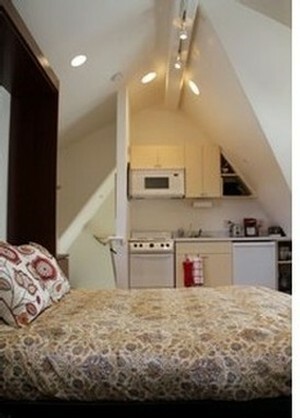 The studio comes completely prepared and stocked with towels, linens and amenities to make your stay the most pleasant. To book your stay, please contact Megan Best at studio@galantevineyards.com. CLICK HERE to view our studio calendar for availability. Take Highway 280 south to Highway 85 at Mountain View. Take Highway 85 to 101 south at Gilroy. Follow 101 south for about 61 miles. Exit Sanborn Road towards Monterey Peninsula off the 101. Turn right onto Sanborn Road off the exit. Stay on Sanborn (it turns into East Blanco). You will pass through three lights until you reach Highway 68 (the Salinas-Monterey Highway). Turn left onto Highway 68 and go about 14 miles until you see the sign for Monterey Peninsula. Enter Highway 1 southbound towards Monterey and continue for 4 miles. Turn Right on Ocean Ave and continue towards the beach turning Left on San Carlos and Right on 7th. Dawn's Dream will be on your right near Thinker Toys!